sansa and margaery. . Wallpaper and background images in the Sansa Stark club tagged: sansa stark game of thrones margaery tyrell. 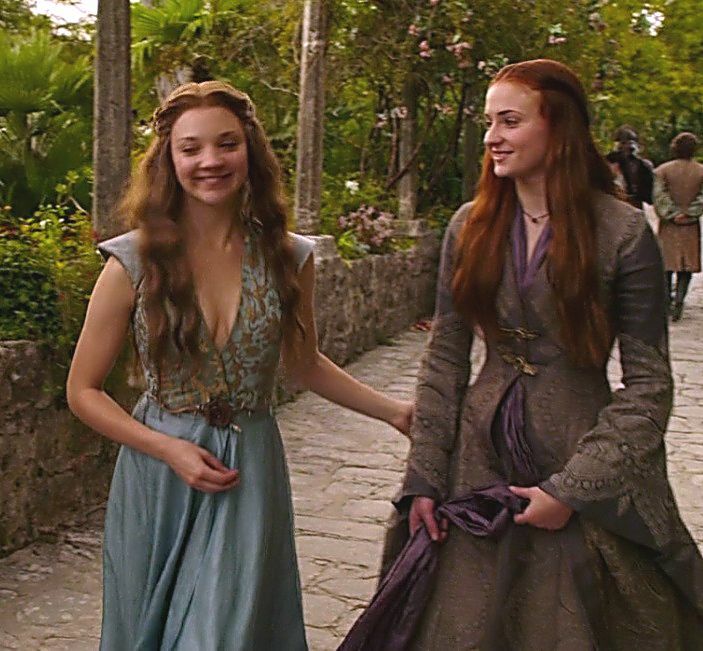 This Sansa Stark photo might contain polonäse, polonaise, kirtle, cocktailkleid, mantel, scheide, and cocktail-kleid.